Welcome to this tutorial video. 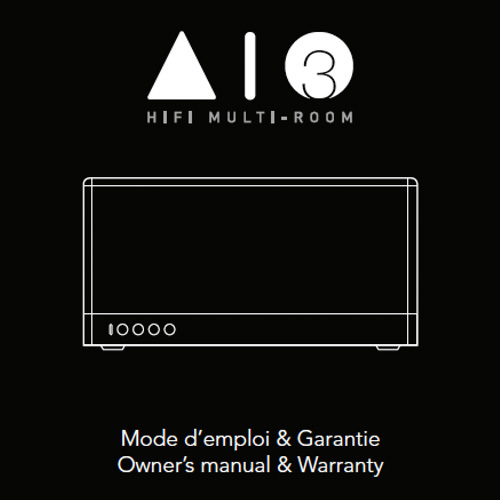 We are going to guide you step by step through all the functionalities of the AIO. You can control your AIO in three different ways. 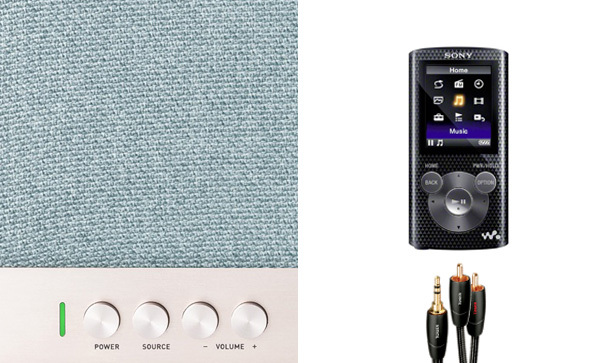 • A Power switch to turn on and off your speaker. • Two knobs to adjust the sound intensity. 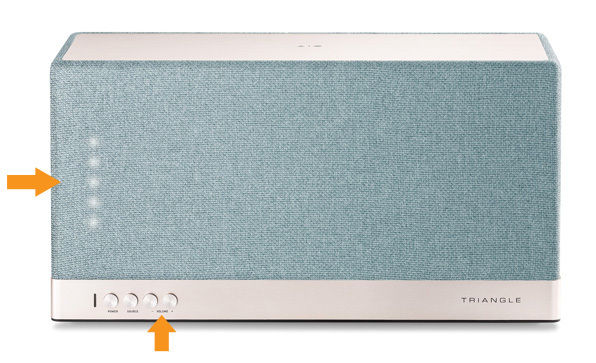 The volume level is indicated by 5 white LED located on the left of the speaker. 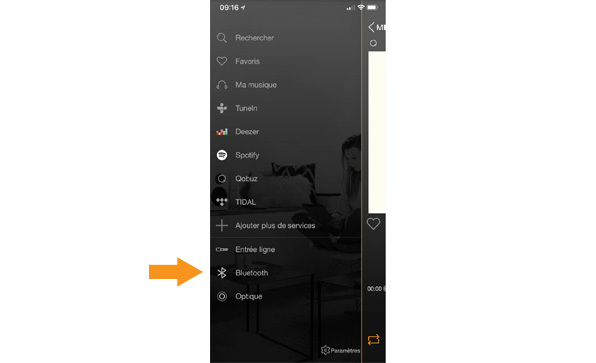 You can also turn on/off the standby mode, change sources and adjust the volume level by using the remote provided with your speaker. 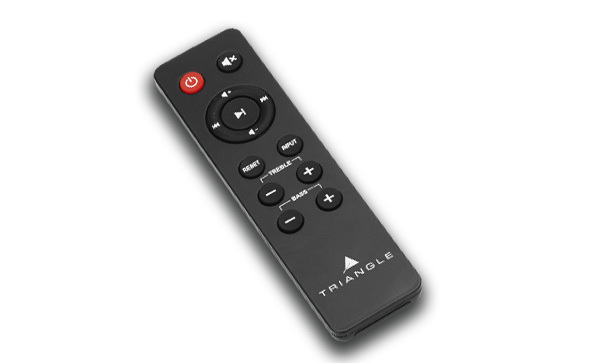 Tune the bass and the trebles with the + and - knobs located at the bottom of your remote. The Reset knob will restore the default sound settings. If you are using the WiFi input, you can also use the functions Play/Pause, Forward and Backward of the remote. You can also select your sources directly from the menu of the TRIANGLE AIO app. It requires that your speaker is paired to your domestic network. The white LED indicates the WiFi input. 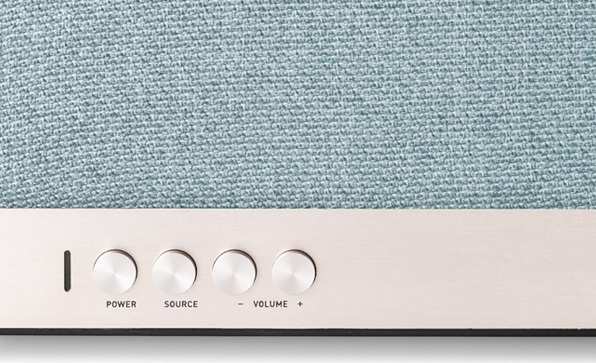 It allows you to stream High-Quality music and control all your house speakers through the app. Check out the tutorials for installing and using the application to find out all the possibilities offered by the WiFi input. Bluetooth is the most universal streaming protocol. 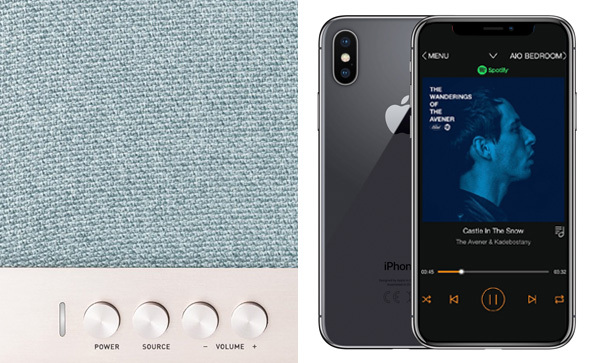 You can stream music from any compatible device without any WiFi connection or app required. Once the blue LED is blinking, go to your phone settings and select the Bluetooth network “TRIANGLE AIO3”. The blue LED will stop blinking and you will hear a beep when the connection is made. 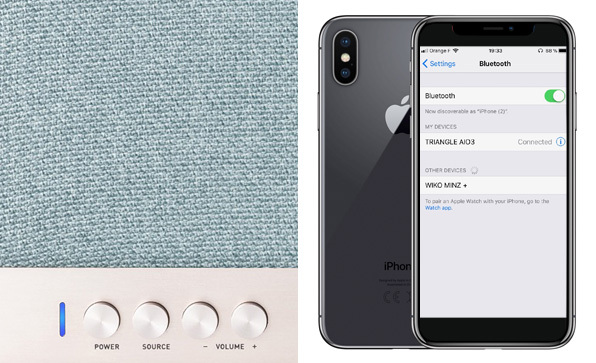 For an automatic NFC pairing, bring your smartphone close to your speaker. Make sure you disconnect your device in case another user wants to take over. 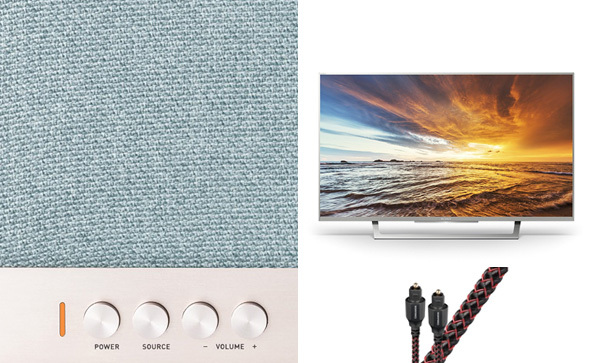 For a true Home-Theater experience, connect an optical cable between your source and your speaker, then select the orange LED. With the AUX input (the most polyvalent, indicated by the green LED), you can connect any external source with a Jack-Jack (3.5mm) ou Jack-RCA cable.